Looking to buy a home? One of the first things you’ll have to decide is which neighborhood you want to live in. Because St. Louis has so many great areas to choose from, it can be a challenge to decide which one is right for you. Des Peres is a wonderful neighborhood that is a great option for many people. Before you go out and start searching for homes for sale in Des Peres, MO, however, it’s important to do your research to be sure it’s the right neighborhood for you. According to real estate company Zillow, the average price of houses for sale in Des Peres, MO, is about $427,000, which is much higher than the average price in St. Louis County as a whole, approximately $117,000. Although Des Peres may be a more expensive neighborhood, it does come with many perks. It’s consistently listed as one of the safest neighborhoods in the city, with extremely low crime rates. There’s also the American Kennel Club Museum of the Dog for dog lovers, several beautiful parks for those who love the outdoors, as well as the West County Center shopping mall and many great restaurants in the area. When browsing Des Peres houses for sale, many people don’t think about how important the real estate agent is. But choose the wrong Realtor, and you could end up paying far more than you should for a home—or you may miss out on your dream home altogether. That’s why it’s important to look for Des Peres Realtors who are very familiar with the neighborhood, because they’re more likely to get you a great deal on a home if they know the local housing market well. 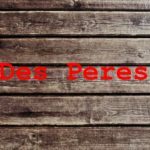 Once you’ve decided that Des Peres, MO, is the right neighborhood for you and you’ve chosen a great real estate agent, you’re ready to start looking for your dream home!